I’m a big believer in mixing together a small number of well-prepared condiments to create a new dish. This notion is especially useful in Asian cooking, as there are so many great Asian items on the market that contain a wide array of ingredients, so the fact that you are only adding a bit of hoisin to the marinade actually means that you are adding a paste made with soybeans, chilies, salt, garlic, sugar, and vinegar. That definitely beats measuring out and adding all of those components one at a time. This marinade would be great with pork chops as well. 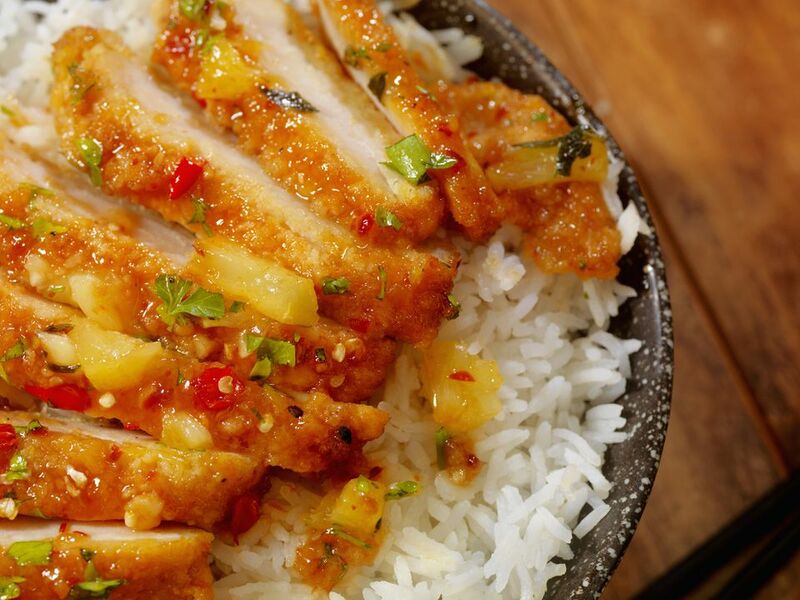 Hoisin sauce contains some sugar so it can burn easily; keep a close eye on the chicken as it cooks, and make sure the baking sheet isn’t too close to the heat source. These can also be grilled, but again, make sure the flame isn’t too high. In a large container or zipper top bag combine the hoisin sauce, onions, water, soy sauce, and ginger. Add the chicken and marinate for 4 to 12 hours, in the refrigerator. Preheat the broiler. Line a rimmed baking sheet with foil and spray it with nonstick spray. Broil the chicken for about 5 minutes on each side, until nicely browned and cooked through. Slice and serve hot with rice.